At Tarrant Nephrology Associates we strongly believe in practicing patient focused evidence based medicine. Texas Research Institute (TRI) is an extension of our core commitment to excellence in clinical and academic medicine. TRI is actively involved in multiple investigator and industry initiated research projects. Our research program has highly trained research coordinators who are certified by Good Clinical Practice and have been a great liaison between our patients and the research project. Patients who participate in clinical research projects contribute tremendously to science and foster the growth of evidence based medicine. We always put our patient’s safety and well-being first and carefully match them to the appropriate project after a detailed discussion about the project with them and their care providers. At our program we have a well-established record of practicing the highest standards for performing and monitoring clinical research ensuring quality and the safety of our patients. All research studies would be conducted after getting approval from a local or national IRB. We adhere to the principles of good clinical practices (GCPs), including adequate human subject protection (HSP) which is universally recognized as a critical requirement to the conduct of research involving human subjects. Chairman and CEO: Dr. BalaSankar has taken the lead in promoting clinical research in Tarrant Nephrology Associates since he initiated the transplant program at Plaza Medical Center. Dr. Bala Sankar has created multiple avenues for fostering research not just at TNA but also in the Fort Worth primary care community. 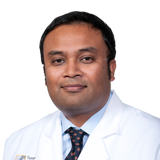 Director of Research: Dr. Saravanan Bala has several years of clinical and basic science research experience and currently directs the research program at Texas Research Institute. He has been PI for several investigator and industry initiated projects and has published several research publications in peer reviewed journals and serves as an expert in several medical advisory boards. Dr. Anand Subramanian: 2 years of experience in more than 3 prospective randomizedclinical studies. Dr. Apoorva Sachidanand: more than 2 years experience in clinical research. A Phase 3, Multicenter, Randomized, Open-Label, Active-Controlled Study of the Efficacy and Safety of FG-4592 in the Treatment of Anemia in Incident-dialysis Patients. Duration will be up to 3 years after last patient is randomized. A Phase 3, Open-Label, Randomized, Active-Controlled Study of the Efficacy and Safety of Roxadustat (FG-4592) in the Maintenance Treatment of Anemia in End Stage Renal Disease (ESRD) Subjects on Stable Dialysis. About 1.5 years to go. A randomized, parallel group, open-label, multicenter study to investigate the efficacy and safety of oral BAY 85-3934 and active comparator (epoetin alfa / beta) in the maintenance treatment of subjects with anemia associated with chronic kidney disease who are on dialysis and on treatment with an erythropoiesis-stimulating agent in the United States and Japan. Enrollment currently closed – Duration = 20 weeks. Extension Study up to 2.5 years. A controlled, parallel group, open-label, multicenter extension study to investigate efficacy and safety of oral BAY 85-3934 and active comparator (epoetin alfa / beta) in the long-term treatment of subjects with anemia associated with chronic kidney disease who are on dialysis in the United States and Japan. A Randomized, Double-Blind, Placebo-Controlled, Parallel, 3-Arm Study of the Safety and Anti-Pruritic Efficacy of Nalbuphine HCI ER Tablets in Hemodialysis Patients with Uremic Pruritus. Still enrolling, duration: Up to 14 weeks. Extension Study up to 26 weeks. An Open Label Extension Study of the Safety and Anti-Pruritic Efficacy of Nalbuphine HCl ER Tablets in Hemodialysis Patients with Uremic Pruritus. Duration: Up to 26 weeks. A Double-Blind, Randomized, Placebo-Controlled Study to Evaluate the Safety and Pharmacokinetics of Intravenous CR845 in Hemodialysis Patients, and its Safety and Efficacy in Hemodialysis Patients with Uremic Pruritus. Duration: Up to 6.5 weeks. A Randomized, Double-blind, Placebo-controlled, Phase 3 Study to Assess the Efficacy and Safety of AMG 416 in the Treatment of Secondary Hyperparathyroidism in Subjects With Chronic Kidney Disease on Hemodialysis. Study will close out soon; all patients have already completed this study.